Stained Glass In St. Vitus Cathedral, Prague, Depicting Saint Anthony Of Padua, A Portuguese Catholic Priest And Friar Of The Franciscan Order. Lizenzfreie Fotos, Bilder Und Stock Fotografie. Image 111812270. 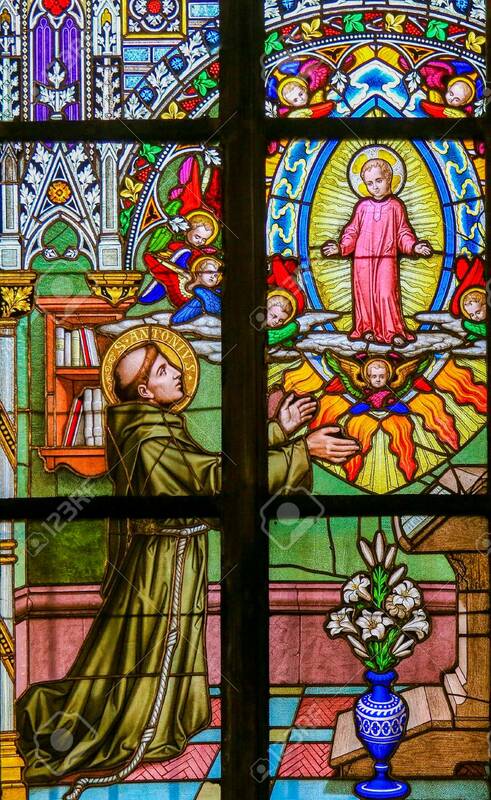 Standard-Bild - Stained Glass in St. Vitus Cathedral, Prague, depicting Saint Anthony of Padua, a Portuguese Catholic priest and friar of the Franciscan Order. Stained Glass in St. Vitus Cathedral, Prague, depicting Saint Anthony of Padua, a Portuguese Catholic priest and friar of the Franciscan Order.